OverviewJoin Gabe Logan and others in an effort to take out the Syphon Filter once more in this online based shooter. 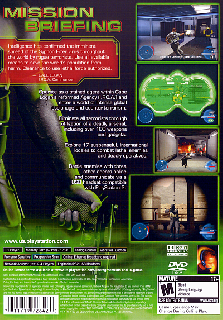 Syphon Filter: The Omega Strain is the fourth installment of the Syphon Filter serires. 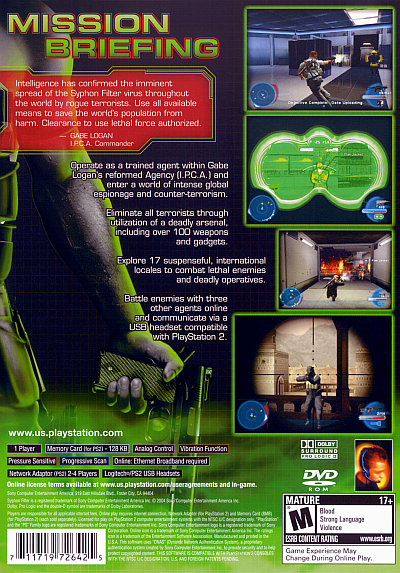 As a sequel to Syphon Filter 3, it is the first game in the series to be released on the PlayStation 2. In the game, the player is given the role of a new recruit working for Gabe Logan's secret anti-terrorist organization, the IPCA. Players are able to create an original agent using a character customization system. The game also gives a non-linear, open ended experience where players are given choices to take on certain tasks, or avoid them altogether. RPG elements were added so that players could create characters, level up their ranks, and unlock new weapons. Now you can add videos, screenshots, or other images (cover scans, disc scans, etc.) 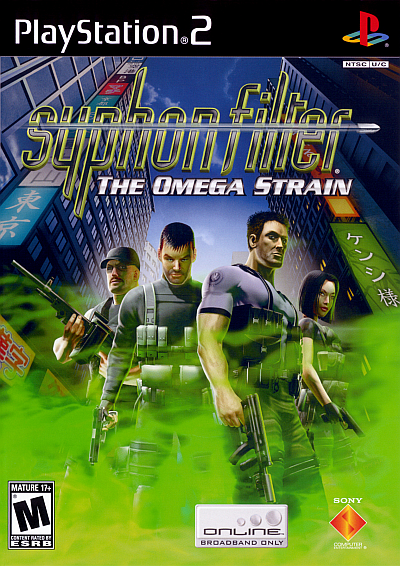 for Syphon Filter - The Omega Strain (USA) to Emuparadise. Do it now!